About 40 (!) 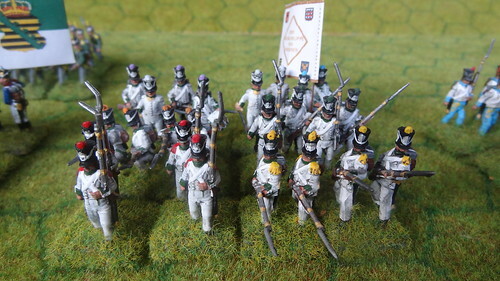 years ago I painted up the Duchy of Wurzburg's 3 battalions, cavalry regiment and gun battery as part of my Airfix Napoleonic wargames army. 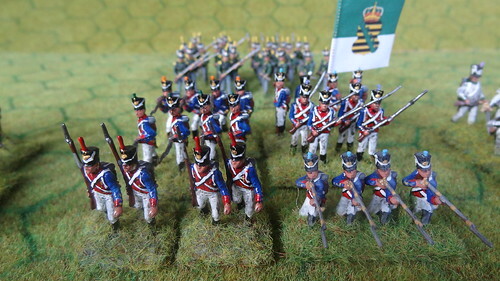 When I got back into wargaming about 10 years ago and started painting up loads of new French I decided to paint up the whole of the Confederation of the Rhine (the Rhinebund) regiments as a change from painting lots of blue coats. 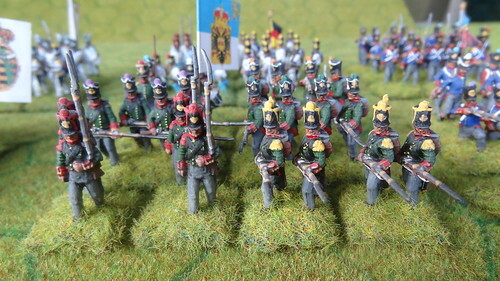 In moving to 6mm I have of course taken the opportunity to paint up the whole of the Confederation again. 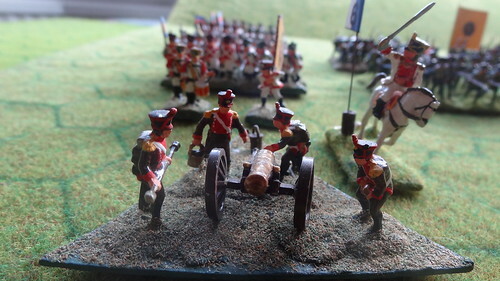 This post has the 20mm shots, and following posts will have the 6mm force, and then a comparison of the two. 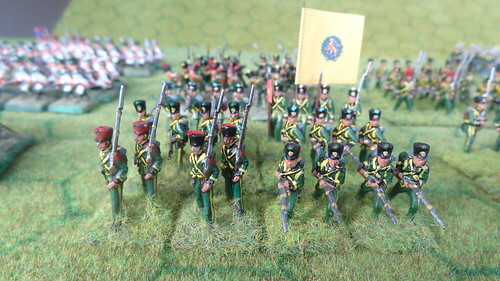 The whole Rhinebund contribution of 16 battalions in 7 regiments, plus a couple of batteries. The Wurzburg gun battery. 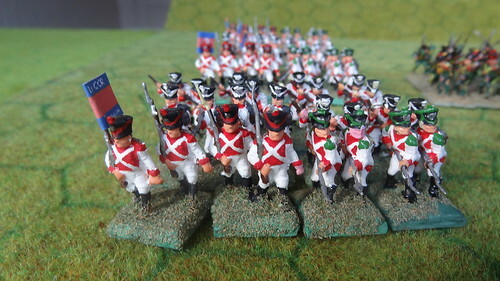 The Wurzburg figures (and paint job) are 40 years old. 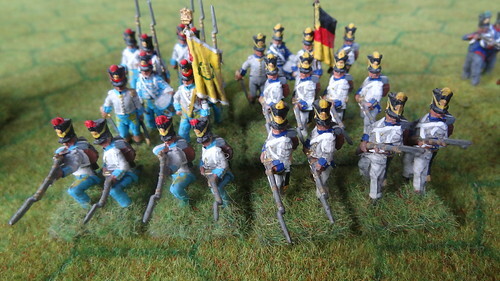 The three (old) battalions of the 1st COR Regiment from Wurzburg. 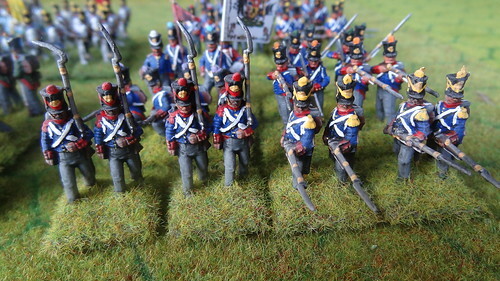 2nd COR Regiment from Nassau. 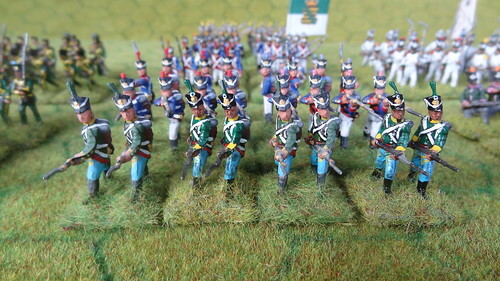 HAT figures, for the 1st Bn, the original Airfix figures for the 2nd. 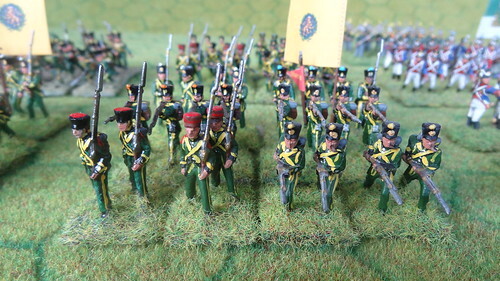 1st Bn 5th COR Regiment, Anhalt. 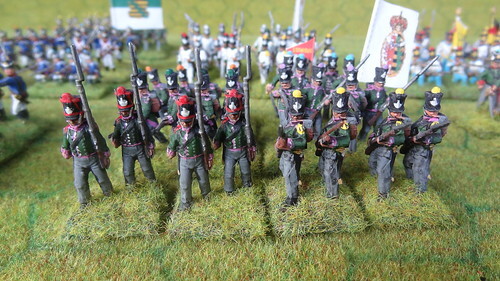 I've actually got these in 25mm Hinchcliffe as well. 2nd Bn 5th COR Regiment. Lippe. 2nd Bn 6th COR. Reuss and Waldeck - note the Waldeck flag. 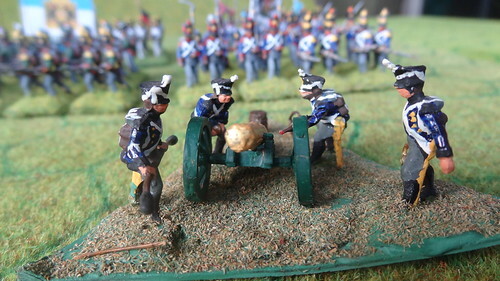 Listed below are links to blogs that reference this entry: Confederation of the Rhine - 20mm. This page contains a single entry by David published on August 7, 2014 11:10 PM. 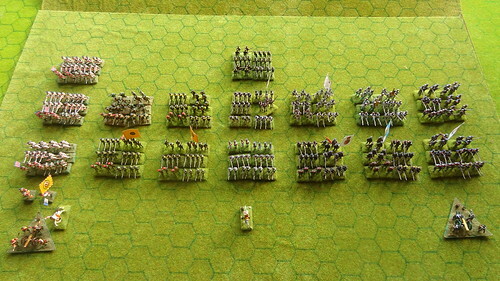 Battle of Craonne - 25mm was the previous entry in this blog. 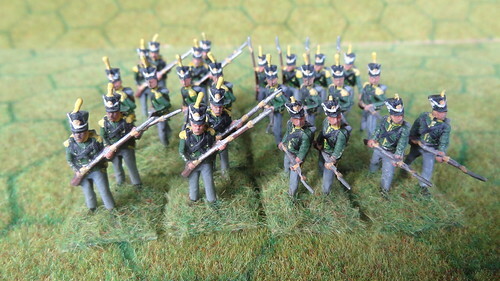 Confederation of the Rhine - 6mm is the next entry in this blog.